If you are looking to purchase a new garage door, there are a number of things that you should know. There are factors that need to be taken into consideration in order to ensure your choice is a perfect fit for your specific needs. You must make sure that the type of door you choose in your home doesn't only enhance your safety but provides security as well. That's why investing in a modern electric garage door opener is a good idea. These models have a lot of different features, such as a backup battery system and rolling code technology, which can ensure your garage door remains both safe and secure. 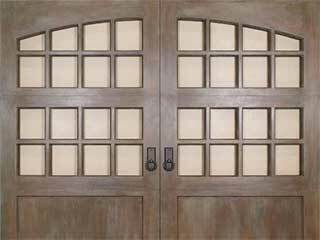 Garage doors are available in a variety of designs and styles. Some people prefer overhead doors, that require more headroom or roll up doors that need very little backroom space. Each type can suit a different homeowner, so making sure the one that you get is a perfect fit for you is very important. The material your new door will be made of is also important, as it will determine how damage resistant it will be, as well as how much curb appeal it will have. If you use your garage as your workshop or your children’s playground, it would be a good idea to choose a door with good insulation. Insulated doors are injected with polyurethane or polystyrene materials that allow them to prevent air from escaping, which makes it easier for you to maintain a desired indoor air quality. Trying to find the perfect door for you can be difficult, but there's no reason for you to go through this process alone. Our team at Garage Door Repair Encino can answer all of your questions and help you make an informed decision. Call us today.